Tolerance rings are well suited for fastening and joining different or dissimilar materials. They provide an alternative when a permanent bond is not desired to allow for future repair or removal. Faster assembly can be achieved without the use or curing time of messy adhesives. 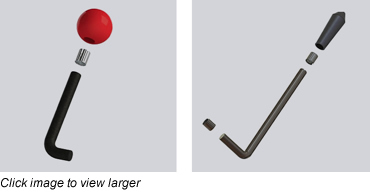 Quickly assembling a handle or knob onto a shaft reduces production time and labor costs. Using epoxy or adhesives can be messy and doesn’t allow for future replacement. A tolerance ring rapidly attaches handles or knobs onto shafts and still allows for future repair or replacement. In motors, maintaining relative position between the brushes and commutator under high impact conditions is critical for motor performance. Using epoxy to secure the brush holder is both messy and time-consuming. Set screws run the risk of being too tight and cracking the brush holder, or being too loose and resulting in undesirable movement. Regardless of whether the brush holder is molded or ground, a tolerance ring from USA Tolerance Rings can secure it without mess or guesswork. 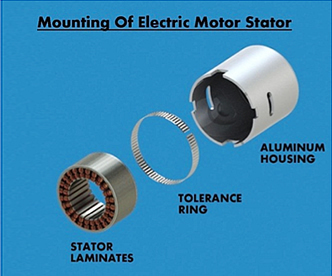 Mounting a motor stator assembly in an aluminum housing can be difficult, especially when there is thermal expansion and contraction expected during the electric motor’s life cycle. The stator core laminates can be fragile or brittle and any excessive force concentrations during assembly or thermal cycling can result in fragmentation and particle generation. Tolerance rings can reduce these concerns by compensating for thermal movements with their spring like characteristics, creating a uniform force distribution around the core’s circumference and allowing for proper axially positioning. 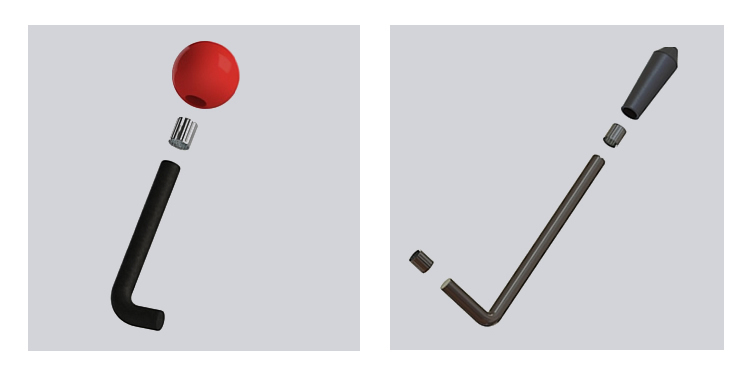 Magnets are commonly used in probes and sensing devices. Securing magnets can be challenging due to their brittleness and different thermal expansion rates, especially in automotive applications where under hood temperatures can range from -40 °F to 350 °F [-40 °C to 177 °C] and higher. Press fitting the magnet in place introduces large dimensional stresses during assembly and large thermal stresses during operation. These large stresses may crack the magnet or holder and introduce unwanted particle chips into the device. Glues or adhesives can soften or become brittle over time from temperature fluctuations and fail prematurely. If the bond fails, positional control and datums become compromised with any unwanted changes in a magnet’s location. 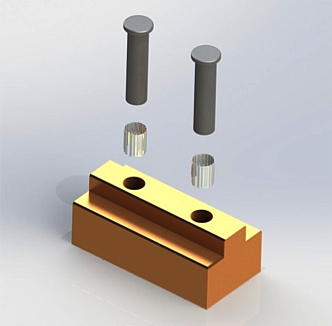 Tolerance rings can properly retain magnets while allowing for differences in thermal growth. By adjusting the ring’s design, a suitable spring rate can be achieved which is strong enough to hold the magnet firmly in place throughout the thermal range and tolerances, yet gentle enough to prevent material damage. The unique cushioning effect of the waves also resists the long term effects of creep and cold flow with softer plastic housing materials. Temporarily positioning, holding or centering components prior to final assembly or holding components together as they move through an assembly line. Tolerance Rings provide a secure means for retaining large components, such as mounting larger OD (>12”) thin section bearings in housings. In addition to saving on machining costs by relaxing housing ID tolerances, they allow for minor out of roundness and thermal expansion. 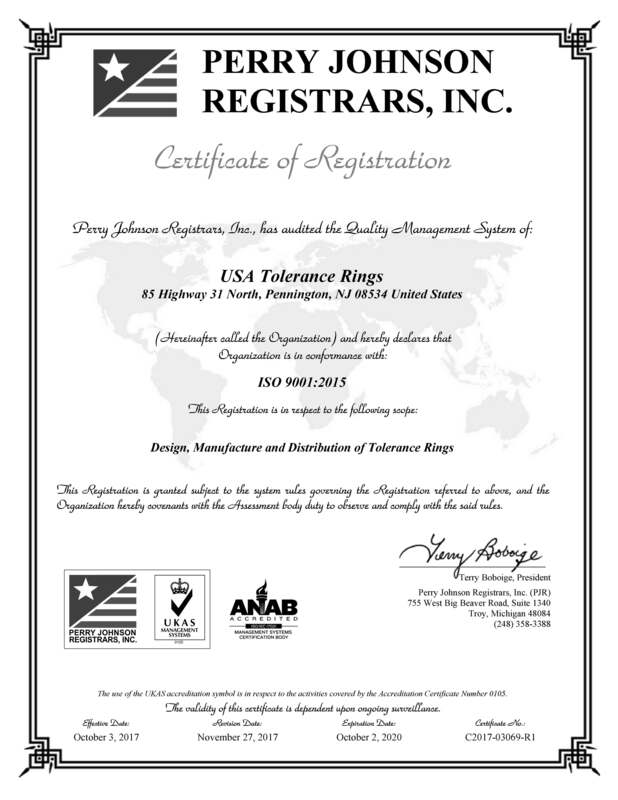 Tolerance Rings can be provided in spooled strip form for customizing to large diametric sizes. They are excellent for centering large components prior to final bolting during assembly and can present a significant cost savings by increasing tolerances and reducing scrap. 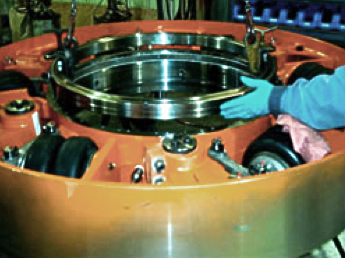 In off-highway equipment, where large, rugged components are commonplace, tolerance rings can ease assembly.